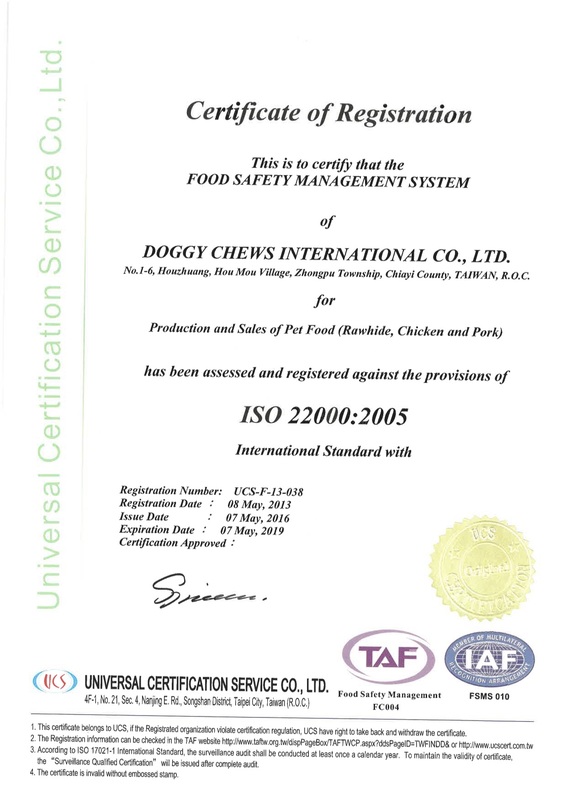 DOGGY CHEWS INTERNATIONAL has certified by ISO22000 & HACCP food safety certification since August 2009..
ISO22000 ISO international organization bulletin international food safety management systems, validated, represents a product from raw material into the factory, manufacturing, warehouse and delivery of the shipment, and so on are in line with the regulatory requirements ISO22000. 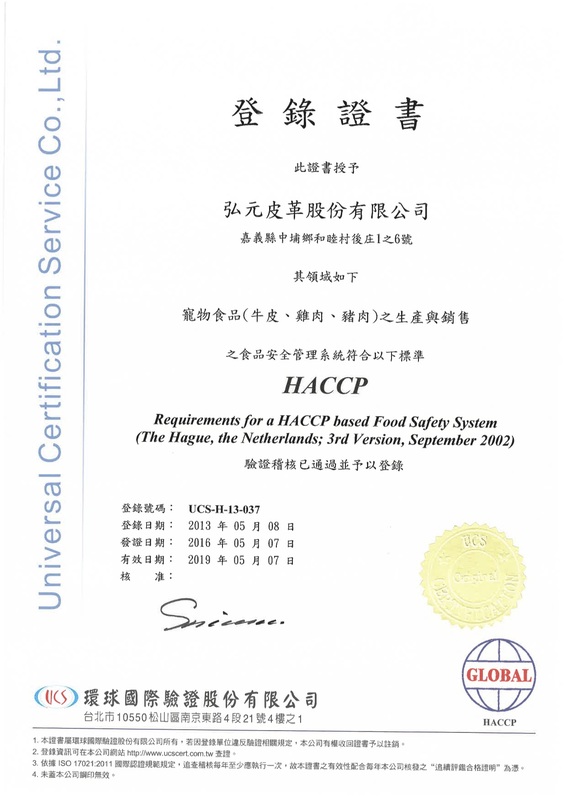 HACCP as Hazard analysis and Critical Control point, that is the hazard analysis critical control point, for the food industry in one of the important management system. 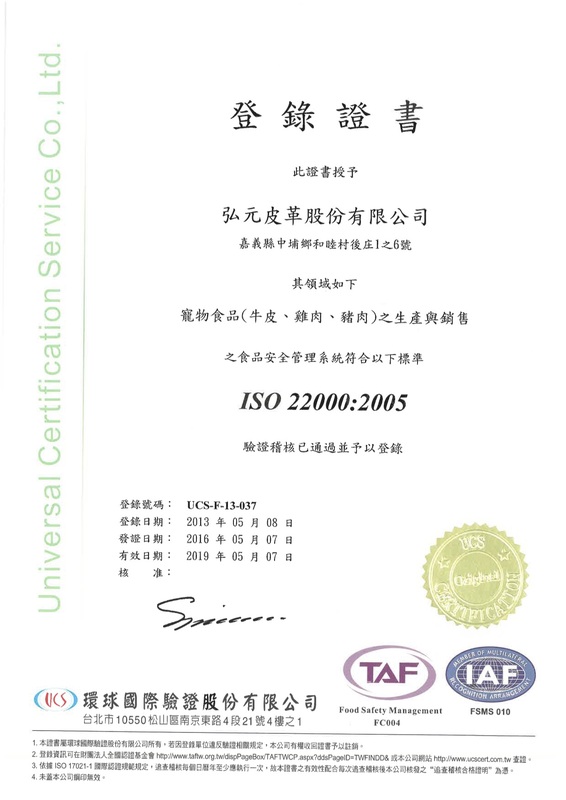 The core of key production department be analysis, identifying important control, set the control bounds, and strict monitoring, control and management product hazards prior to an acceptable level.